ROCKHAMPTON hockey champion Mark Knowles will make a flying visit home tomorrow to run a leg of the Queen's Baton Relay. 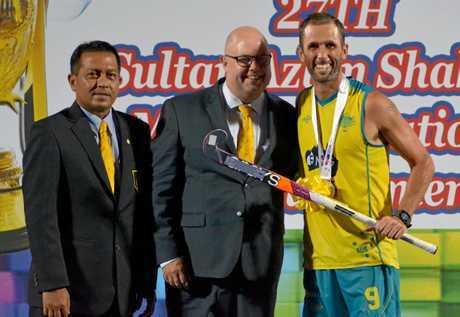 The Australian men's hockey captain will take a break from his Commonwealth Games preparations to join the host of locals afforded the once-in-a-lifetime opportunity. Baton Relay preparations: The Rockhamton Regional Council and Queensland Police have joined forces to ensure the Baton Relay through Rockhampton can be enjoyed by the whole community. The Rockhampton leg of the relay starts at 3.23pm at Kenrick Tucker Velodrome and Mark will receive the baton at 4.15pm in Goodsall St.
Mark, who will retire from international hockey following next month's Commonwealth Games, said he was excited to be running the baton in his home town. "Rockhampton as a region has been an amazing supporter of my journey since I was a kid and I hope there is plenty of support for all the people involved and who are getting this honour," he said. Parents Ryan and Barb Knowles said it was great that Mark was returning to Rockhampton for the community celebration. "We'll be very proud to see him carrying the baton, just as we have been watching him in every one of his hockey endeavours," Ryan said. "We're just so pleased that he's had such a wonderful career and we're thrilled at the way he has performed and carried himself over a long period of time. "He's leaving the national side as World No.1 and in a really good place moving forward. "We've had a fantastic journey with him and we're happy knowing that he's ready to move on to new challenges in his life." 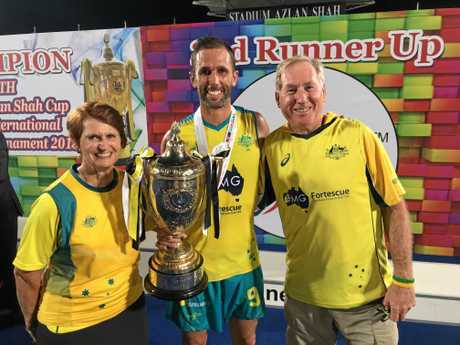 Ryan and Barb were in Malaysia earlier this month to watch the Kookaburras claim the Azlan Shah Cup, the same tournament where they witnessed their son's international debut in 2004. The grand final, which the Aussies won 2-1 against England, was played on Mark's 34th birthday and he was named Player of the Final. While clearly still at the top of his game, the decorated stalwart has no regrets about calling time on his career. "It actually makes me feel great that I have the opportunity to leave the team and game I love feeling fit and healthy and playing well," Mark said. "My decision was based on the fact that I don't think I can play, train and maintain the same level of commitment and quality moving forward that I have prided myself on through my career. "I'm ready (to retire) but I'm also aware that a big part of my life will be gone so I don't want to think too much about it at the moment." 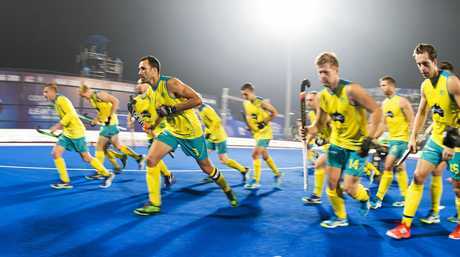 The Kookaburras are aiming for a sixth consecutive Commonwealth Games gold medal at the Gold Coast and Mark says they are keen to uphold their amazing record. "We've had a fantastic preparation, winning the World League Finals in India in December, playing four Tests in Perth against the Dutch in February and winning the Azlan Shah in Malaysia," he said. "This makes me very confident that if our team plays at its best, we are very hard to beat. "The key now is playing well in big moments under pressure and I know I can play a strong role in this." Mark's resume is impressive and he rates Olympic gold in Athens in 2004 and World Cup gold in Holland in 2014 as "two stand-outs among many wonderful memories". He maintains the support of his family has been paramount to his success. "It means everything and it has certainly made me a much more well-rounded athlete and person," he said. The inspirational leader is doing everything he can to ensure he is in peak condition for his last international tournament. Asked how he would like to be remembered when the curtain falls on his celebrated career, he offered this: "I think people will remember my work ethic, commitment, discipline, team-first mentality and that I have extracted every bit out of my body, physically and mentally, for this game." The Queen's Baton carries a message from Her Majesty Queen Elizabeth II that calls the Commonwealth's athletes to come together in peaceful and friendly competition. The 2018 relay is the longest in history, travelling through the entire Commonwealth for 388 days and 230,000km. It started on March 13, 2017, at Buckingham Palace and was entrusted to the first baton bearer, Central Queensland Olympian Anna Meares. It began its journey in Australia on December 25, 2017, and will involve 3800 baton bearers. 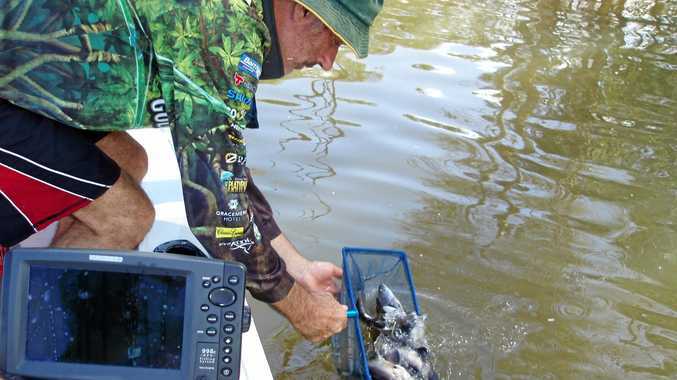 It will arrive on the Gold Coast for the XXI Commonwealth Games opening ceremony on April 4, 2018.